Why is that all of us who have been brought up near the sea need to refresh ourselves by just walking along the coast. 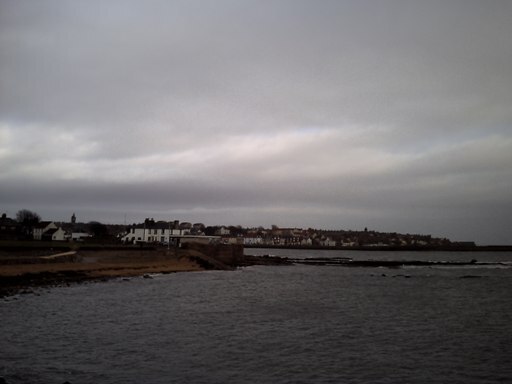 This weekend we walked from St Monans to Anstruther via Pittenween on the Fife coast and back. A windy cloudy day with the occasional Sun breaking through – a big change from the drenching rain and gale-force winds recently. For those of you who don’t know this part of the Fife coast of Scotland these small towns all used to be fishing villages but unfortunately the fish has largely gone, few boats are left, Pittenween still has a fish market. Petty towns where the houses on the quays are mainly occupied by Edinburgh commuters or as weekend retreats for the more wealthy. The remaining fishermen are largely at the tops of the towns in Council houses. 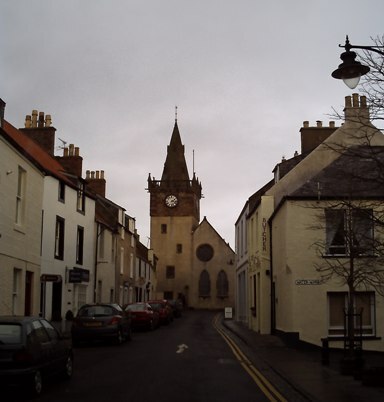 Pittenween’s main street has a delightful café featuring hot chocolate and all things chocolate, open literally all the year round and there is a very pleasant artists shop next door – as you can imagine it’s a small artists’ colony. 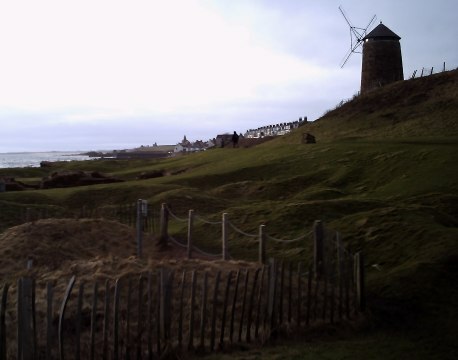 At St Monans in the 1750’s, the local coal company built salt pans on the shore and used the local Fife coal to boil off the water, salt being an essential commodity for food preserving . 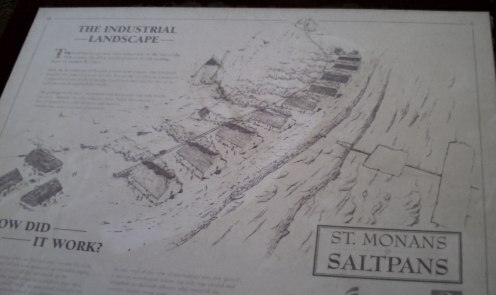 You can still see the remains of the saltpans – Just look at the plaque on the shore next to the remains. Life was not easy! 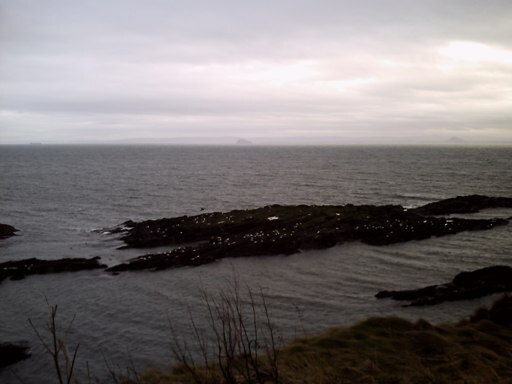 As you walk and look out to across the sea you get distant views of the East Lothian coast with the extinct volcanic stubs of the Bass Rock and North Berwick Law and round to the right the Island of May. On the Fife shore itself there are, at this time of year, small flocks of eider ducks, shags drying themselves, the occasional curlew and godwit with a passing cormorant; on the nearby land there are redshanks – small waders with surprisingly red legs! And more interestingly herring and black back gulls apparently just aimlessly flying. I am curious to know why gulls just fly, they don’t appear to be flying to seek out food; the stronger the wind the more they fly, I understand they sleep as they fly. It may they fly to keep warm, yet this would use up energy unnecessarily although they clearly get much assistance from the wind just as yachts do. Or do they like us enjoy the sheer joy of being out along the sea shore. We humans are an arrogant lot, we tell ourselves that only we have ‘consciousness’, but how do we know.